One of our recommended reads for November is PAUSE: A Collection of Tasmanian Moments by the celebrated photographer Paul Fleming. 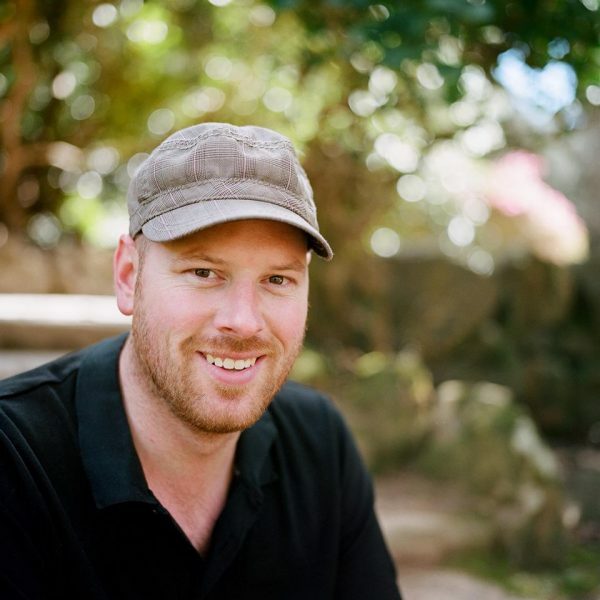 Originally from Launceston, but now a resident of Hobart, Paul uses his writing and photography to share positive stories and experiences about Tasmania and beyond. Most of his work is shared through social media, where he is known as @lovethywalrus, and where he works with tourism organisations to showcase their destinations and experiences. PAUSE is Paul’s first offline project, and we are thrilled that he has taken the time to answer some questions for the TWC Blog. Congratulations on publishing your first book Paul, how does it feel to have it out there in the world? Thank you, it’s certainly gratifying to have it all done now. Seeing my book out there in the wild feels quite surreal; though also overwhelmingly exciting. This was a giant step for me personally, sharing a style of writing that I hadn’t shared publicly before, and I am humbled to have received so much genuinely positive feedback so far about PAUSE. What made you decide to take the leap from all your online work to something that exists in hard copy too? I really enjoy sharing Tasmania with the world, and all its charming facets, and social media is by far the easiest way to do that. The ‘likes’, ‘shares’ and so on are a wonderful way to get instant feedback and receive some gratification. But, there is an element to it that is not real – you never really know whether the feedback is genuine, or simply a piece of software giving automated responses. It was after a few experiences with the shady side of social media that the thoughts to explore offline endeavours took off. When I thought about taking my work offline, I knew that I didn’t want it to simply be a hard copy of what I do on social media. PAUSE has ended up being something a far cry from my online work; I didn’t write it to please ‘followers’ or a client. I wrote from the heart and at the end of the day made sure I was enjoying what I was doing. Lovethywalrus… you have to tell us where the name came from! Oh I wish there was a fascinating back story – can I make one up?! It was a simple case of not understanding how social media worked, back when I joined Instagram almost five years ago. My original name I used was ‘WalrusWhisperer’, which at the time I thought was hilarious, and a way for me to hide my real self online. That lasted until I found there was someone on Twitter with the same name – who was taking credit for my work off Instagram and worse, giving people permission to re-use my work. I knew I wanted to keep the walrus connection – it’s a conversation starter and quite memorable – and lovethywalrus was the result. I’ve never seen a walrus in the wild – that is still a life goal! And perhaps ironically, by choosing a memorable, anonymous-yet-quirky name, I picked up a following of thousands of people globally who wanted to know who I was. It’s great to see an introduction to the book from Bob Brown – how did that come about? I am humbled to have Bob involved in PAUSE. And I pinch myself each time I read his kind words which he wrote in the foreword of my book. Bob is a dear a friend of my parents – he met my father long before I was born, and the two struck a deep friendship, connected via a tangible love for Tasmania’s wild places. Bob’s Liffey property has become a rather sacred place for my family; my father lived there with Bob at one point at a difficult time in his life, and my folks were married amongst the daffodils with Bob as best man – that is after my father made my mother (it wasn’t hard to convince her!) to climb Dry’s Bluff where my fathered popped the question on what we now refer to as ‘Proposal Peak’. Sadly, my father passed away in 2012 after a battle with cancer. Bob spoke at his funeral, and took the opportunity to relate that he not only saw my father as a dear friend, but also a mentor when it came to his love and passion for Tasmania. My fathers ashes are now scattered amongst the very same daffodils where my folks married, at Oura Oura. PAUSE is dedicated to my father. Was it hard to narrow down the places and images to include in the book? It was a difficult process to narrow down what I wanted to include in PAUSE. The aim was to have a wide variety of places and locations covered; some well known, and some that even Tasmanians might wonder where exactly I was. There were some guidelines I gave myself when selecting images – the most important being that they had to be ground-based views. I have a great selection of shots from planes and helicopters, but in PAUSE I felt they would act to disconnect readers from the scenes, rather than let them feel part of what is happening. The final cut are some of my favourite images that I felt a story was naturally part of – not necessarily the ones that people might consider the most technically-captured best photos. What’s the photography scene like in Tasmania – is it a supportive community? It’s a strange beast, in my opinion. 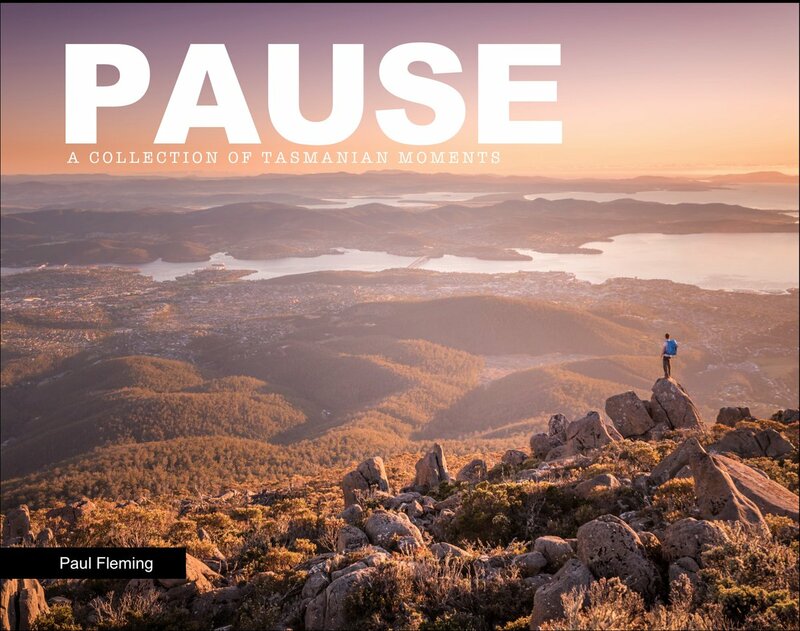 Tasmania is blessed with a booming array of talented and passionate photographers, each with their own stories and style, but all with a dedicated interest in Tasmania at heart. Personally, I’ve found myself at the receiving end of some not overly positive comments, all due to my social media presence. There is a stigma attached to what I do – sharing Tasmania to the world via social media – as some see it as ‘selling out’ or class me as a ‘happy snapper’ or ‘car park photographer’. I take it all in my stride though these days, and actually agree with part of the sentiment, especially about the car park photographer slur. You see, my work online, and what I included in PAUSE, is all generally centred on the premise that we have these amazing views, vistas and experiences all within relatively easy reach. That is one of the magnificent draw cards of Tasmania. My images are of incredible places, but they are accessible; maybe just need a short walk or scenic drive to get there. I’m a little lazy – and so if I can find these inspiring views, with minimal effort so can anyone! What’s wrong with celebrating that? We also need to remember that photography is not a competition. Some see my ‘success’ online (65K followers across my channels) and immediately that lowers my ‘credibility’ as a photographer in their eyes. In my mind, I’m just using the tools that I am comfortable with, and know how to get the most from it in an organic way – I enjoy working online, and have had some amazing opportunities around the world because of it. What people don’t necessarily know is that this isn’t something that magically happened overnight simply by posting photos online. I have a first class honours degree in tourism, and have worked for governments and the private sector in the tourism industry for over fifteen years now. Nowadays, I tend to mingle with other photographers who are simply in it for the love of taking, and sharing, photos, no matter what sort of camera they use or their background. Where is your absolute favourite place to photograph in Tassie – is it possible to choose just one? That is a tough question – and I will say that my answer changes often! It actually depends on what I am feeling at the time, which areas I feel are calling to me. I have by no means seen all of Tasmania – far from it – but the places I have visited all have their own charms and quirks. Current favourite places include the Sarah Anne Rocks area of the Tarkine and the wild South West wilderness. A perennial favourite is kunanyi / Mt Wellington – there’s just nothing like it when we look at all other Aussie capital cities, but it often gets taken for granted. And is there anywhere in the state that you’d like to visit and photograph that you haven’t been to yet? This is a list that is constantly shrinking, which is wonderful, as it means I am getting to more and more places. Many of the places I haven’t been to yet are due to their remoteness, and as I am not physically fit yet, they remain out of reach. I would love to revisit the South Coast Track. I actually have been before, walking it with my family when I was 11 years old. That was before I was as madly into photography though and so am curious to see how I’d see it now with older (wiser?) eyes and matured heart and whether I could capture it faithfully. Tell us about some of your other favourite places outside of Tasmania? My photography work, through social media, has taken me to some incredible places, and for those experiences I am grateful. I’ve spent a fair amount of time in Canada over the past couple of years for Instagramming, and while I’ve experienced the big-ticket places like the Rockies through Alberta and British Columbia, it is Quebec that is still my favourite place overseas. The landscape is not as dramatic as the west coast of the country, but the people are the most welcoming and friendly I have come across. And the architecture – quite astoundingly beautiful and with rich connections to their past. In Australia, I would say that the Esperance coast of WA is at the top of my list. The colours were as vivid and delightful as we see in Tasmania, but in differing hues and tones that highlighted the stark beauty of the region. Seeing the kangaroos hopping along the bright white sand against the backdrop of the azure seas was mesmerizing. Are you able to share any secrets with us about what projects you might have coming up next? Something I have learnt in the industry I am in is that things change, often! This year has been all about my book – in some ways, I would say that it has been a ‘gap year’ from social media for me as I have deliberately stepped back from those demands so that PAUSE would get all my love and attention. This year has also been about bedding down the contacts and networks I’ve made over the years, to ensure there is long term and sustainable opportunities into the future. The world of social media is fast-paced and unnervingly fickle; what is popular today, might not be popular tomorrow. And that is also why I wrote PAUSE. It is timeless, physical and invites people to spend more time with it – and ultimately, with myself and my work. Can you finish by telling us about your experience with crowdfunding the book, and what lessons you took from that? Any advice you can offer to other writers who may be thinking about doing the same? Yes, I did crowdfund my book. It was an exciting, and terrifying, experience, but one that taught me an awful lot. I ran a campaign through Pozible in July 2016, with the goal of raising enough funds to get a print run of about 1,000 copies made of my book. Of course, I had no finished product to actually show people, and I am a first-time author – not exactly a great starting point. However, there was a piece of advice I got early on in the process, which I believe made all the difference to the success of the campaign. That advice was that, when it comes to ‘unknown’ people like myself, it is less about the product you are trying to fund, and more about how you tell your story – who are you, why are you doing this, what difference will it make in your life or theirs. I ran a campaign over four weeks. In the last week the goal was reached – and was 36% over target when the campaign closed. I had also successfully applied to partner with Arts Tasmania for additional grant funding through their Crowbar program. This meant that I was granted a further $2000 towards my funding. In all, 146 individuals supported my campaign, with pledges ranging from $5 to $2000. The most popular pledge was $50, which also put them on the list to be the first to receive a signed copy of PAUSE. Supporters were from all States and Territories in Australia, plus the USA, Canada and the UK. The extra support meant that I was able to double my first run. PAUSE is now available in stores – something I had only previously dreamed of. I learnt a great deal from the crowdfunding campaign, the most important of which was that you shouldn’t attempt to do it alone. I proposed, designed and ran the campaign – and while it was ultimately successful, it may have limited my options when it came to opportunities along the way. My advice for anyone contemplating running a crowdfunding campaign is that you really need to be clear about why you are doing it – and I don’t mean ‘because I want the money’. If you can convey compellingly why you are doing the project – for me it was making a dream come true – and make it personal, engaging and interesting, you’re well on your way to successful campaign. However, that isn’t enough by itself. You do need a product or item that people want – or one you can convince they want, I guess – and you have to tell people about it. Making the campaign live won’t get you funding; sure you’ll have family and friends helping out, but the success comes (in my opinion) from when you tap into the world outside your own networks. Convincing family and friends to pledge support isn’t too hard – but if you can convince strangers you’ve never met then you are onto a winner. My last piece of advice is to just start. Nothing happens, and will never happen, if you don’t first just make a start on your project. I put off doing my book for a long time, as I thought I would be a terrible failure. Thankfully, the outcome has been far from a failure; but that’s not luck, it’s hard work. But work that just needed to be started first. Thanks so much Paul! We can’t wait to see what you get up to next. You can connect with Paul through his website, Facebook page, Twitter or Instagram feed. And to be in with a chance of winning a copy of PAUSE, check out our Recommended Reads page this month.